Jessie J. is back with her HOTLY anticipated second single, "Price Tag," featuring American rapper B.o.B. The single is decidedly more POP than her successful debut single, "Do It Like A Dude," which went on to the #2 spot on the Official UK Singles chart. With it's reggae undertones and up-beat GIRL POWER lyrics "Price Tag" is a worthy follow up to a an amazing first single. While not as hard hitting as "Do It Like A Dude," "Price Tag" really showcases Jessie J's softer side which I quite like. The fun video, directed by Emil Nava, (who previously directed "Do It Like A Dude" and most recently - Parade's debut video for "Louder") features Jessie J. dressed up like a sexified music box ballerina, a trashy marionette and a variety of other "youthful" fan-TASTY characters. 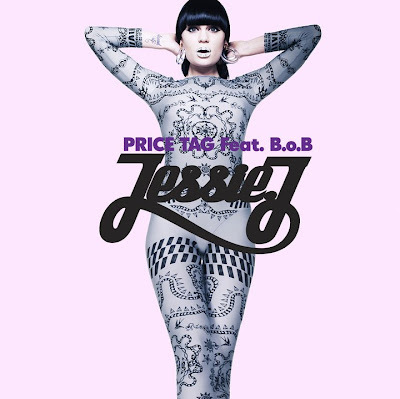 "Price Tag" is the second single to be lifted off of Jessie J. 's forthcoming debut record, Who You Are, due out on Universal March 28th in the UK and on Lava/Universal Records in the States on April 12th. The single is out now on iTunes in the UK. Produced and written with Eg White Wasted In Jackson shows a lot of depth and raw emotion, considering Pritchard is a mere 23 years old. Listen to the original single version of "Stuck" HERE. Wasted in Jackson is out now digitally (HERE) in the U.S. but will be out physically on February 22nd through Universal. Make sure you catch Lauren in a city near you when she goes out on tour in the U.S. this March. Kicking off in Little Rock, Pritchard will be joined on tour by Matt White and Brendan James. Too bad she's not stopping by Boston.